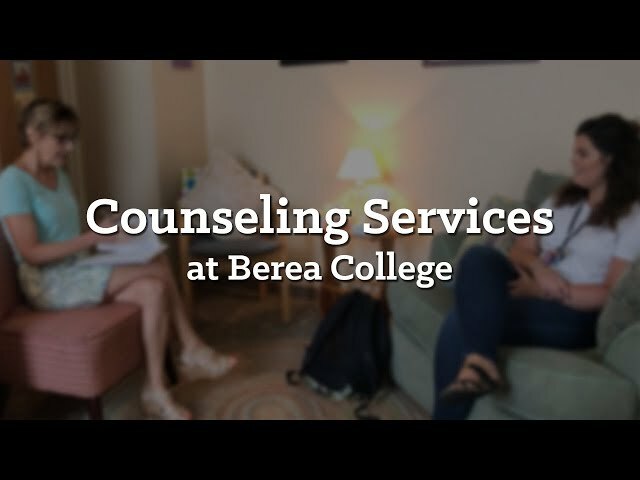 Counseling Services assists students on Berea College's campus through individual counseling sessions, group sessions, various outreach programs and workshops. Take a quick walkthrough and see what the process looks like when you visit the office. Berea College Counseling Services attempts to meet the personal and developmental needs of individual students. Licensed professional counselors assist students with difficulties in an unbiased and objective way. All professional counseling services are completely confidential. No one, including parents, relatives, friends, or college staff has access to any information about a student without their consent. The only exceptions are suspected child abuse, threats to harm self or others, emergency hospitalization, or civil law suits when one’s mental state is an issue in the case. The mission of Berea College Counseling Services is to provide a professional and confidential setting for the psychological, emotional and developmental support of a diverse body of students as they pursue academic goals and explore personal growth. Counseling Services plays an essential role in serving Berea College students through individual and group counseling, referrals to campus and community resources, and programming to support and enhance growth and development. Counseling Services supports faculty and staff by providing consultation regarding concerns about a particular student, as well as training and outreach on a variety of common mental health issues that can impact the performance of a student.